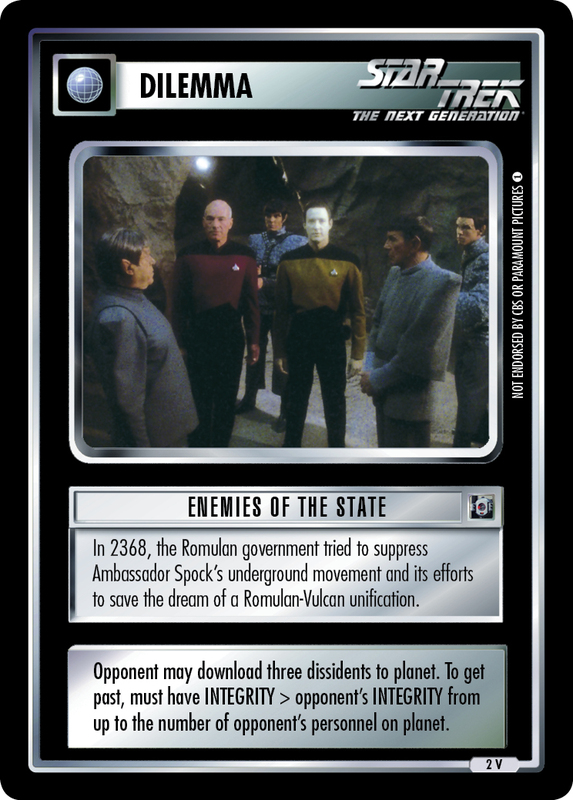 In 2368, the Romulan government tried to suppress Ambassador Spock's underground movement and its efforts to save the dream of a Romulan-Vulcan unification. 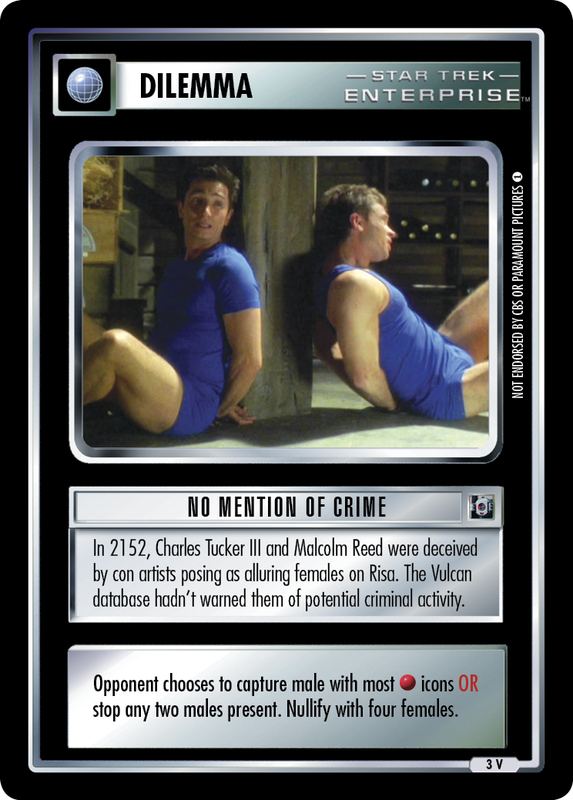 Opponent may download three dissidents to planet. To get past, must have INTEGRITY > opponent's INTEGRITY from up to the number of opponent's personnel on planet.